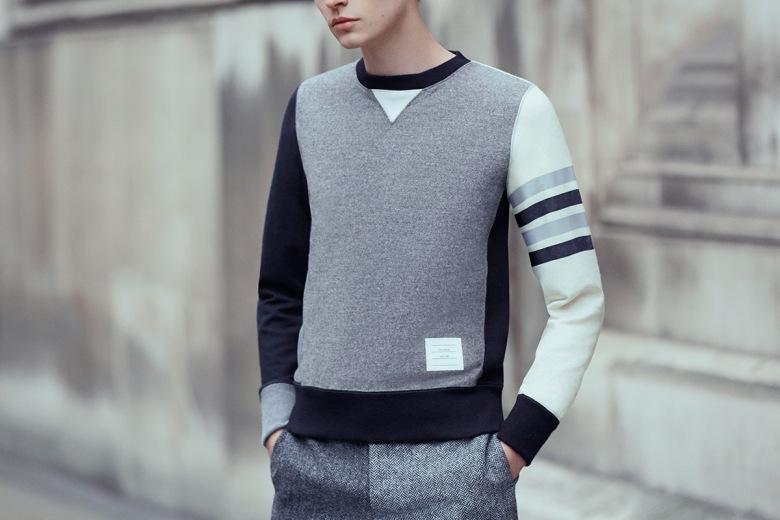 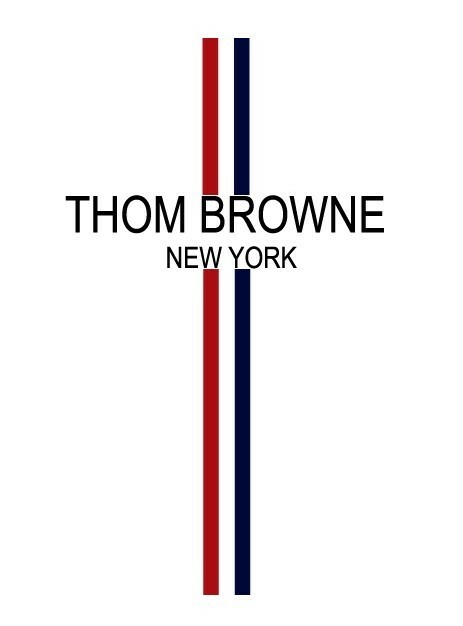 Online fashion retailer MR PORTER has unified with NYC-based menswear champions Thom Browne for a seasonal Autumn/Winter 2014 capsule collection. 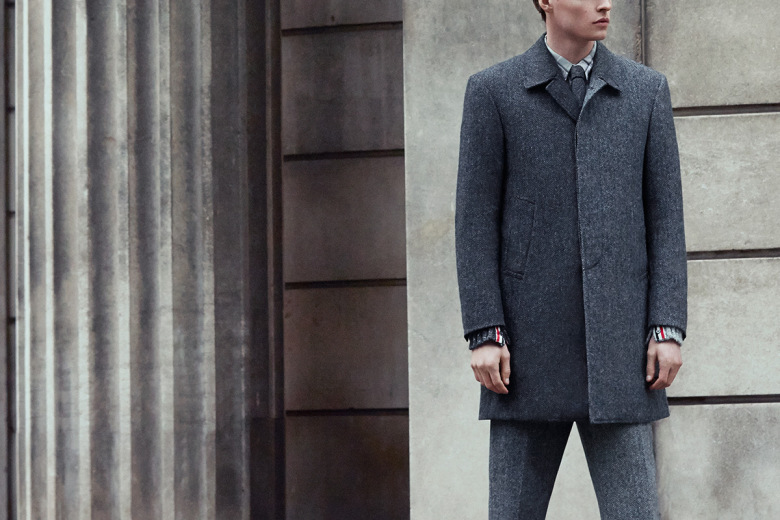 A cold, stone-like aesthetic is the inspiration for most of the collection’s design, while the woolen, cashmere and tweed garments themselves are surely much warmer than their hues may suggest. 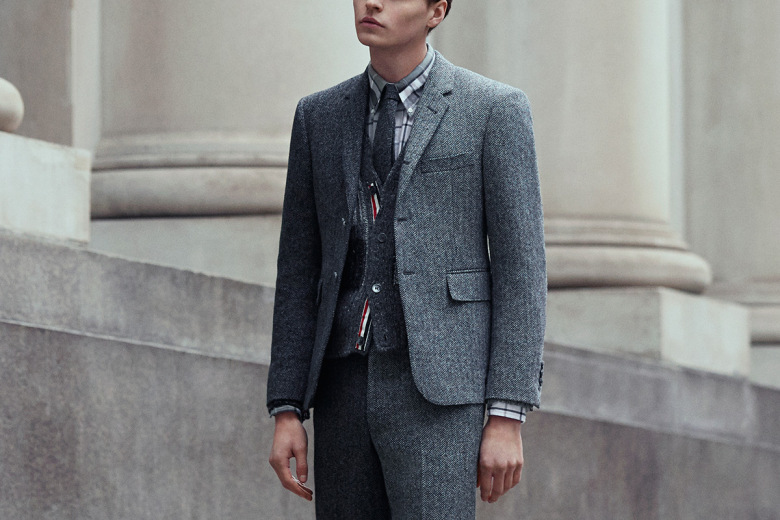 The wool and cashmere suit is the stand out piece in THE DROP’s opinion. 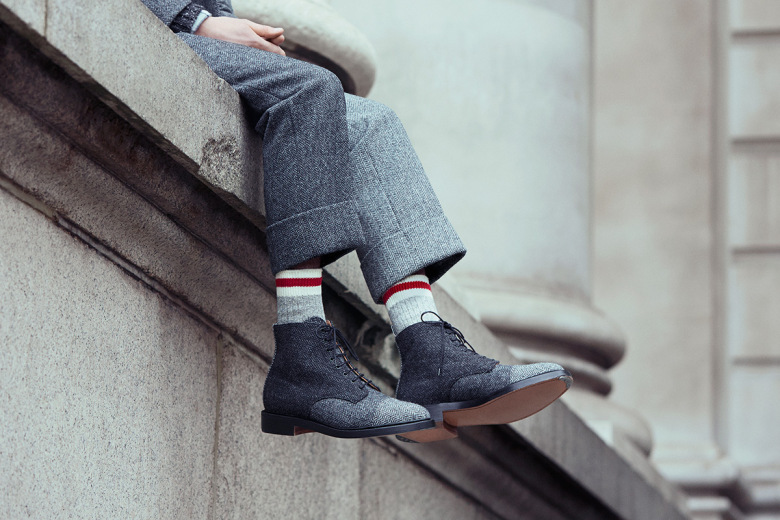 Other notable features are the tweed Herringbone Derby Boots. 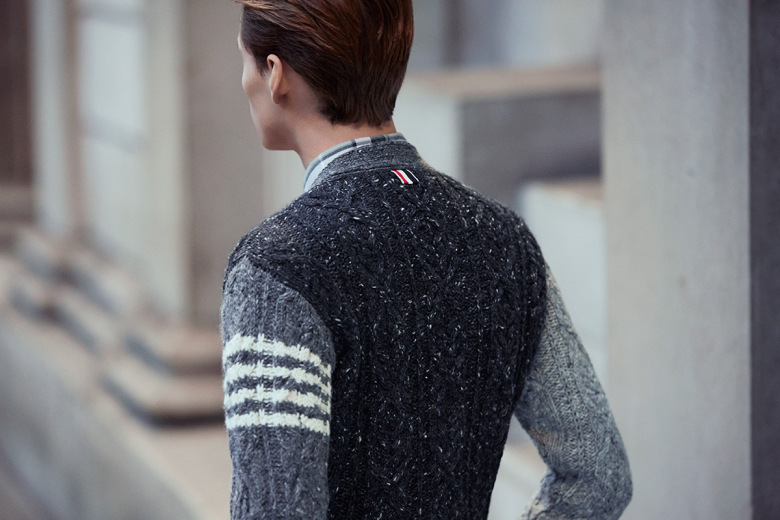 The Thom Browne for MR PORTER 2014 Capsule collection is currently available in its entirety, and will be sold exclusively through MR PORTER online.